After 35 years of loyal service, d'Artagnan resigns as Cardinal Mazarin is the true power behind the throne. He resolves to aid the exiled Charles II to retake the throne of England, unaware that Athos is attempting the same. With their assistance Charles II is restored to the throne and d'Artagnan is rewarded richly. In France Cardinal Mazarin has died, leaving Louis to assume power with Jean-Baptiste Colbert as his adviser. 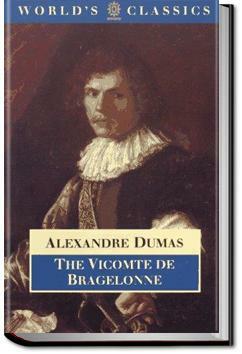 Louis persuades d'Artagnan to reenter his service, and tasks him to investigate Belle-Ile, the property of Nicolas Fouquet, promising him a substantial salary and promotion to Captain of the King's Musketeers on his return. Great addition to "Three Musketeers Series." Can't wait to get on to the next, but I must. Thought it was amusing that the title's namesake didn't really appear much in the book until the end. And it was actually quite a cliffhanger at the end there. In case I haven't made myself perfectly clear, I am 10000% obsessed with this series. Tomo mastodontico, questo libro chiude le vicende dei quattro personaggi creati da Dumas e noti collettivamente come "I moschettieri".